Butterflies, Bees and more.... 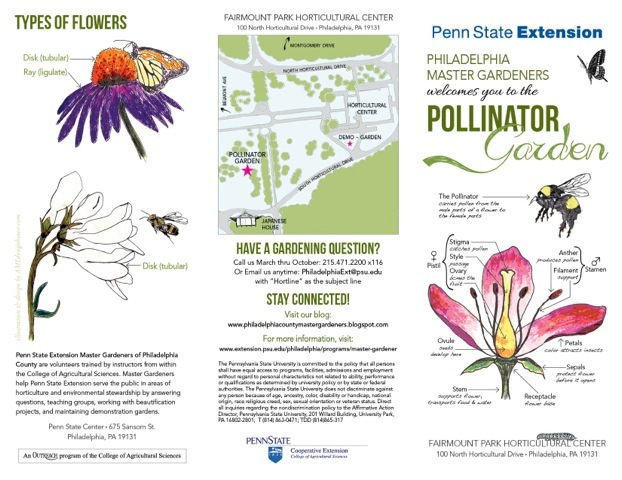 The Butterfly Garden Committee has created a beautiful new brochure that details the benefits of gardening for pollinators and lists the plants growing in our demonstration garden. . Thanks to MG Andrea Lewandowski and Howard Goldstein, for the useful explanations and gorgeous artwork. 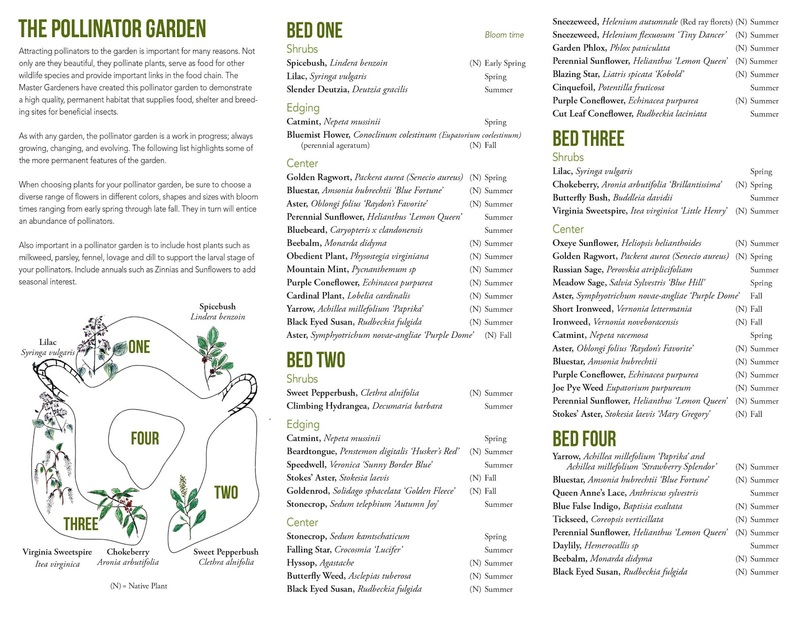 Additional thanks to all the gardeners who get out and weed and water and plant so there is a thriving environment for the Butterflies, Bees, beneficial insects. All the gardens at the Horticulture Center are looking beautiful. Get out there for a visit.